Idol finalists is now down to five after Lil Rounds and Anoop Desai got eliminated on Disco Week. As expected, it was double elimination after judges saved Matt Giraud last week. Lil once again received blows of criticisms from all four judges. Even though she fought her way from weeks of karaoke performances, she finally did her final act with her rendition of Chakha Khan's "I'm Every Woman". She sang it better than Tuesday night and made Paula say, "Why didn't she sing like that last night?". Too late for Lil! 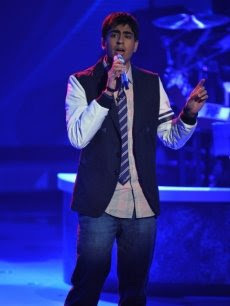 After Anoop sang his version of "Dim The Lights" by Summers, Simon said it was his worst performance to date! America quite agreed to that and it sent Anoop home this week. Well, he had his share of triumph after the judges decided to make it top 13 instead of top 12 this year. Allison Iraheta was found on the bottom three this week even though the judges were all praises for her with her performance. America thought otherwise. Since it was disco week, all 7 finalists did an awkward opening disco performance choreographed by Paula Abdul. They all danced to the tune of Michael Jacksons "Shake Your Body (Down To The Ground). 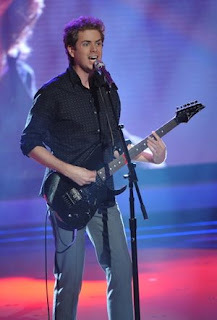 David Archuleta returned to the Idol stage this week singing his single "Touch My Hand". Classic disco tunes where also performed by Freda Payne, Thelma Houston and KC from KC and the Sunshine Band. We're about to go down to the final night! 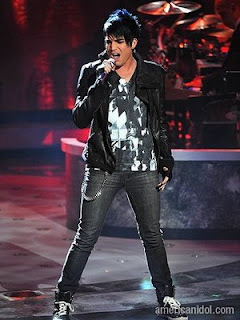 For me, it's no doubt that Adam Lambert is going to be the Idol this year. The only question is, who will compete with him on the finals? Today is Earth Day! It is a day designed to encourage awareness and appreciation to Earth's environment. A lot of activities are done on this day just to urge everyone to love mother Earth. Well, for me, showing the love for the environment should start from each of us. Just not littering anywhere and proper segregation of waste can contribute a lot to saving mother earth. Let's do our share! Let's continue loving our mother Earth! It's Music Monday once again! I want to share a song from my favorite Reggae band - Hemp Republic. The band was born on February 2000 in UP Los Banos. At that time, reggae is not yet that popular here in the Philippines. The song "Fireflies" was also the cover of their second album which was launched on January 21, 2006. Sadly, the band is in a "hiatus mode" since 2 members of the band went abroad to pursue their professions last year. I hope you all like my feature for Music Monday this week! Enjoy! I went out on a date last night. It was actually a group date. Friends of mine from Pampanga whom I haven't seen for months decided to visit me here in Manila. They actually set me up with this guy friend of them. So it was actually a "group date". I enjoyed the night with my friends. I wasn't that attentive with the guy and actually wasn't disappointed since I'm really not interested about "dating" as of now. But he might have changed my prerogative if he have at least impressed me. Lol! I don't know if the problem is with me, or the guy needs a few dating tips! I chanced upon these Top 10 Dating Tips and thought of posting about it. This is for everyone who are ready for a date! American Idol finally saved a contestant this week! It was "movie music" week. The contestants did songs from famous movies with one of the outstanding directors in the movie industry - Quentin Torentino. My pick for this week? Of course, it's Adam Lambert! He definitely nailed the show this week with his rendition of Born To Be Wild. Truly amazing vocals he possess! 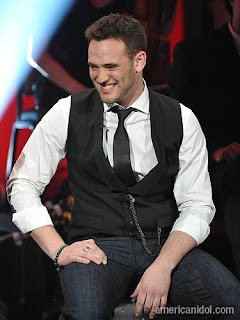 It was Matt Giraud who was supposed to get evicted this week but even though his performance is not good enough, the judges still gave him a chance. Well, the decision is not exactly a good news since 2 contestants will get evicted next week. I wonder who these people are! American Idol wasn't aired on Thursday at Q11. I was a bit disappointed but there's really nothing I can do about it. Basically every Lenten season, most of the big TV stations here in the Philippines signs off. I just hope though that Q11 will still air the supposed show last Thursday for AI the moment they sign back in. So I ended up getting information about AI through Mr. Google. And I learned that Scott MacIntyre was the one voted out this week. He played the guitar during "songs from the year you were born" night which definitely wasn't a good idea. He never should've listened to Paula's advise about stepping out of the piano. Scott's stay in the competition inspired millions of people, for sure even if he didn't end up as the American Idol. He is a winner himself! His being legally blind did not hinder him to reach for his aspirations. And best of all, his appearance in the competition prooves that everyone could definitely turn their dreams into a reality. 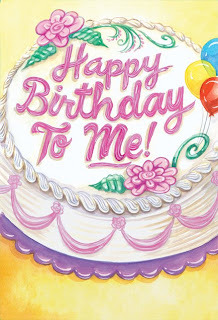 And to all who celebrate their birthdays today!!! I also would like to say that today is the day that you guys can cast a vote for my entry Sharing A Piece Of Me To The Virtual World for Lainy's Hottest Blogoversary contest! Lol! Your vote will be considered a birthday gift! Just click on the badge below to vote!